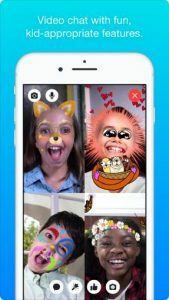 A fun, free app that lets kids video call and message parent-approved family and friends from their iPad, iPod touch or iPhone. Messages don’t disappear and can’t be hidden in case parents would like to check in. Parents and approved grown-ups can connect from their Messenger app wherever it’s installed. Parents and guardians use their own Facebook accounts to authorize their kids’ Messenger Kids accounts. We’re always working to improve Messenger Kids. If you’d like to share any feedback with us or for more information, visit messengerkids.com.